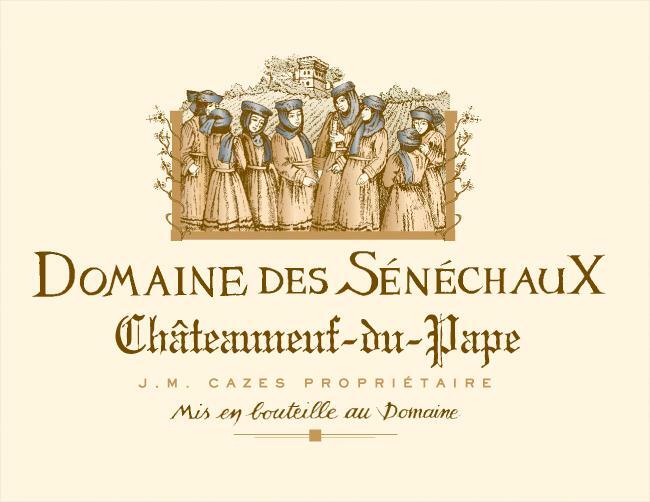 The Domaine des Sénéchaux counts itself amongst the oldest vineyards in Castro Novo, the birthplace of the wines of Pape and the creation of "appellations d'origine contrôlées." It lies in the heart of the mythical Châteauneuf-du-Pape appellation and dates back to the XIV century. It owes its name to the domaine's key vineyards in the Bois Sénéchaux area. The Cazes family, owners of Château Lynch-Bages in Pauillac, purchased the Domaine des Sénéchaux in 2006. With energy and dedication, the Cazes family have pursued the hard work carried out by Bernard Tranchecoste since 1998. Following significant renovation works on the vineyard, particular attention was paid to the Grenache old vines which attest to the Domaine's longevity. The estate produces robust reds and fleshy, aromatic whites that reflect the rich characters of their respective terroirs.